9. Could it be a Neutritron? Welcome to the sixth special Issue of the SHAPE Journal. A whole nexus of imponderables seem to have been, to some extent at least, solved by the inclusion of so-called Empty Photons into a series of new theories. And, as with all new ideas, they will have to prove their worth by replacing older theories with something demonstrably better. The question in Science is never about Absolute Truth, but always about the measure of Objective Content in a theory. If the Objective Content is increased noticeably, then a new theory should replace its predecessor. Now, such a process for Empty Photons is by no means complete, and they may ultimately display damning inadequacies, and be abandoned for something better. But, rather than the common reaction to such ideas, which is invariably to condemn them out of hand, we, as scientists, must be more disinterested, and give the idea some thought. To this end, this SHAPE Special has been compiled. It is, of course, an arrived-at position of the author, and hence not a comprehensive account of all possible opinions as to the validity of their postulated existence. But, it will, hopefully, give a more comprehensive account of the positive arguments for these entities, and the many processes, in which they are conceived to be involved. Clearly, the most useful result of delivering this account will be the generation of both supporting and contrary positions, which SHAPE Journal will gladly publish, either as papers on the Journal itself, or as short articles on the associated SHAPE Blog site. We look forward to your comments and your criticisms. 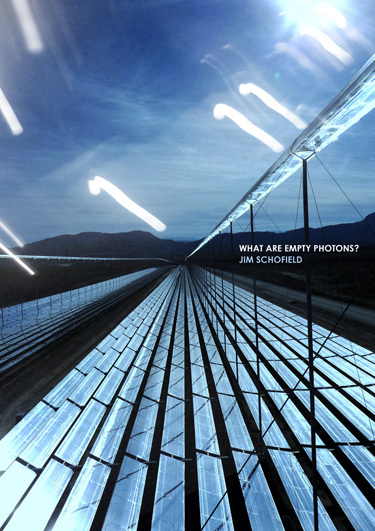 Most of the uses of Empty Photons are already available in prior Papers and Special Issues of the Journal. !